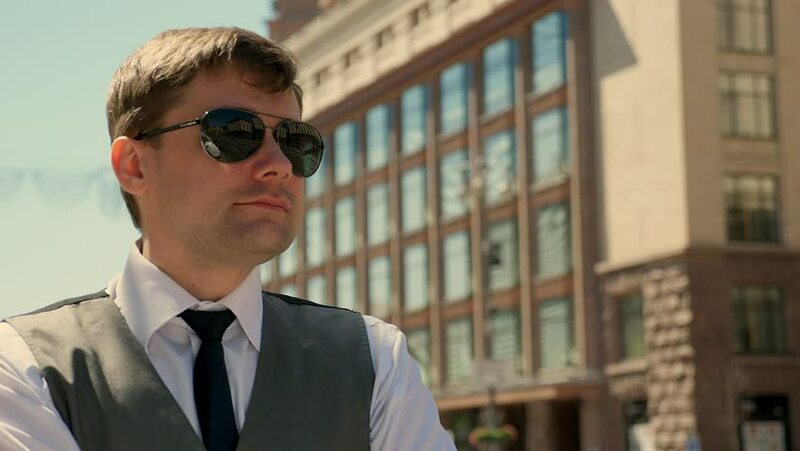 Portrait of a man in sunglasses is standing on the street. He looks into the distance. The man takes off his sunglasses and corrects his hair.